The seven-story tower with a glass exterior near Tokyo’s trendy Omotesando district serves not just as a co-working space with computers and free Wi-Fi. There is also a pantry, a bar counter and a spacious lounge where you can drink freshly roasted coffee and beer on tap free of charge. There is even a room for meditation or prayer. 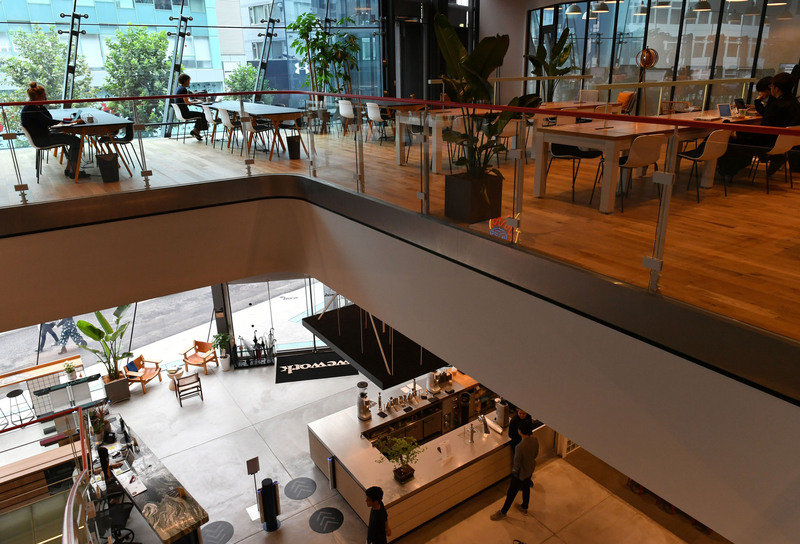 The building, dubbed the Iceberg, is the sixth flexible office location in Japan opened by New York-based co-working giant WeWork, which has more than 260,000 users around the world. Since the 8-year-old startup entered the Japanese market in February, it has transformed the landscape of the real estate business, experts say. 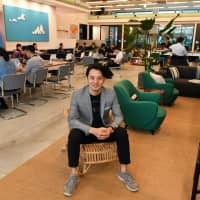 Financially backed by SoftBank Group Corp., WeWork has expanded its business at high speed and on a massive scale in prime Tokyo locations that have stunned local office operators. The company tries to add value via amenities like pantries and lounges, while “community managers” seek to enhance clients’ communications efforts, which is new to many Japanese workers. 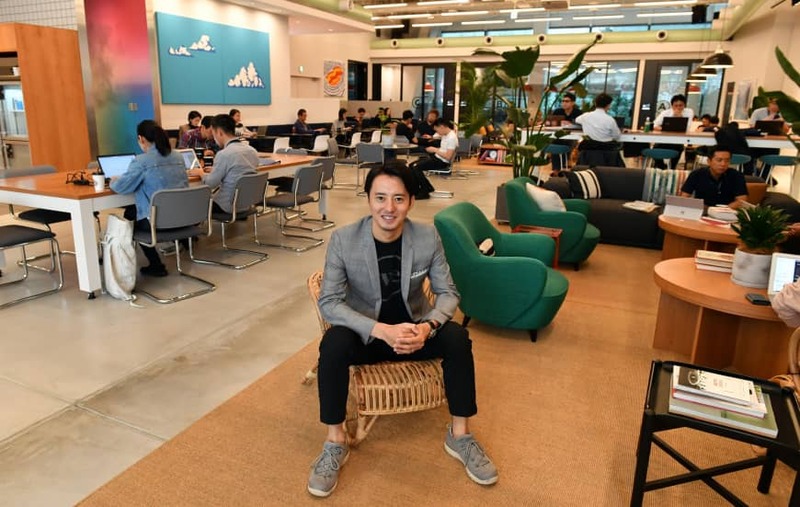 “People need a working environment — and working style — more open and flexible, where you can interact with others, unlike their rather closed environment in the past,” Masami Takahashi, general manager at WeWork Japan, told The Japan Times in a recent interview. “Especially, millennials who grew up with social networking are open to sharing their ideas with others and being connected with others,” he said. Since the company’s launch in Japan, the pace of expansion has been overwhelming. The first space opened in Ark Hills South Tower in Tokyo’s Roppongi district in February. In March, Tokyo’s Marunouchi business district was up next. In the following month, an outlet opened on the top floor of the Ginza Six commercial complex and a whole building of offices started up in Shinbashi. It opened another space in Hibiya in July and the Iceberg in August. 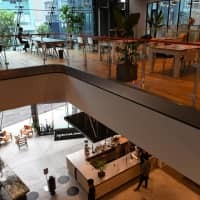 All of the WeWork locations have floor space of about 3,000 to 8,000 square meters, whereas shared office space operations started by land developers and office operators in central Tokyo over the past two years have topped out at 300 to 500 square meters, with some exceptions. WeWork plans to open five more locations in Japan by the end of this year. It will launch one in Yokohama on Nov. 1, and Osaka, Fukuoka, and Tokyo’s Kyobashi and Nogizaka districts, are also on the list. The giant startup has an ambitious outlook in the country, where one of the government’s top priorities is to promote work-style reforms amid the shrinking working population. WeWork first targeted freelancers and entrepreneurs. 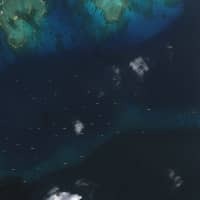 But then it also started to focus on corporate clients. Experts say the demand for co-working space is backed by various factors. Advanced technologies enable people to work wirelessly worldwide. Because of digitalization, it is now easier for entrepreneurs to start businesses without massive capital investment. Domestically, Japan’s aging population is prompting companies to improve productivity amid fierce global competition. 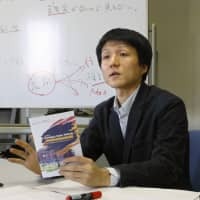 Poor working conditions, which have sometimes led to karōshi (death from overwork), is another factor supporting flexible working styles and such office demand, said Yuto Ohigashi, a specialist in the real estate market at Jones Lang LaSalle in Japan. Based on that demand, “WeWork is definitely playing in a different league with its rapid growth and its own business model,” he said. The firm also aims to boost communications among its clients, big companies and young businesses alike, which has not often happened in traditional Japanese working culture. “People working for big companies (in Japan) had few chances to interact with those in other industries,” said Takahashi, who has worked for Sony Corp. 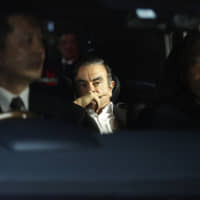 He is also the former president of Uber Technologies Inc.’s Japan arm. Increasingly, large domestic firms have established satellite offices in flex office spaces partly to improve their working environments and to foster interaction that can inspire innovative ideas. Large corporate tenants in Japan include SoftBank, Marubeni Corp., Lixil Corp., Sompo Holdings Inc., Kawasaki Heavy Industries and Fujifilm Corp. Some firms place special teams in WeWork spaces, including Marubeni’s development section and Fujifilm’s AI research center. In the U.S., tech giants such as Amazon and Microsoft have WeWork offices for some divisions. “Globally speaking, one-fourth of our tenants are big companies, and this segment is the one experiencing rapid growth,” Takahashi said. To support communication amongst firms, WeWork positions a team of three to five community managers at every location. They introduce different members and plan events every day, including chances to learn about new technologies like blockchain or even to get to know each other through cooking rice balls or salsa dancing. The interior design at the sites is also aimed at encouraging communications, with many internal walls made with glass and corridors intentionally narrow enough to encourage members to greet each other when they pass. In addition, like some offices in other countries, Iceberg’s outside walls are constructed with glass to allow for ample sunlight. WeWork also provides an app for members around the world to chat and exchange information. There are three types of services: free-address desks, fixed desks and private offices. In the case of Iceberg, the cost to rent a flex desk is at least ¥74,000 a month. WeWork drew attention last week when media reports said SoftBank was in talks to buy a majority stake. The Wall Street Journal said the investment could total between $15 billion and $20 billion and would likely come from SoftBank’s Vision Fund. SoftBank already owns nearly 20 percent of the startup after pouring in $4.4 billion last year. Both SoftBank and WeWork declined to comment on the reports. Last month in New York, WeWork announced that it had become the largest private office tenant in Manhattan. Since it was founded in 2010, the firm has occupied more than 490,000 square meters of space in Manhattan, a larger footprint than any other company in the district. But the rapid expansion also raised concern about what would happen to the business if the current economic uptrend, a factor supporting the overall real estate sector, came to a halt, like the case of the Lehman Brothers failure in 2008 setting off a global shock, especially when the startup giant has reportedly increased losses. “Generally speaking, a downturn risk (in the real estate market) is always a risk factor,” Ohigashi said. When the U.S. land market, which has been on a positive trend since the “Lehman shock,” and the Japanese market, which has also been picking up since the Great East Japan Earthquake in 2011, start to slow down, it will be up to WeWork’s strategic response, Ohigashi said.